These are NOT your usual Chucks! 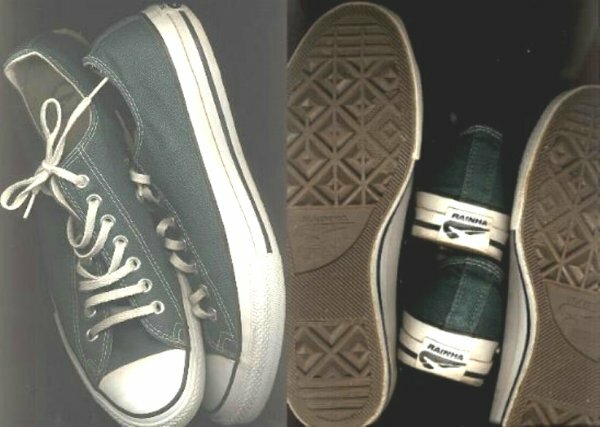 As Jorge pointed out, "Here in Brazil, the All-Star brand and the star logo are registered for another shoemaker, who makes a very poor clone of the Chuck's." (This changed in 2003; see below.) Jorge was mystified by the reference to "Julius Sixers," but I figured out it was likely a reference to "Julius Erving... of the Philadelphia Seventy-Sixers." Indeed, in his heyday, Julius was "America's No. 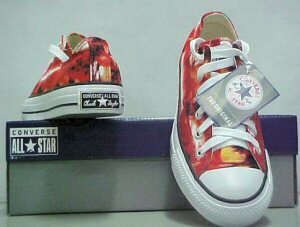 1 All Star." Because of their interesting name, the Charly sneakers got their own Web page. This is a picture of the shoes the Brazilian Converse affiliate is selling as of early 2004. The heel patch looks like those on Chucks back when I (Charlie) was happily wearing my first pair. 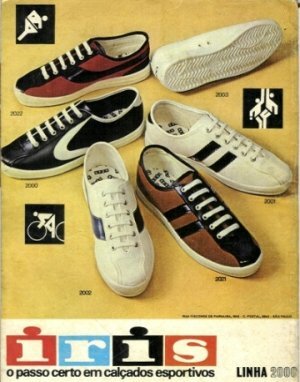 These are five different sneakers from the IRIS brand. According to Jorge, the Rainha brand is well-established in Brazil. 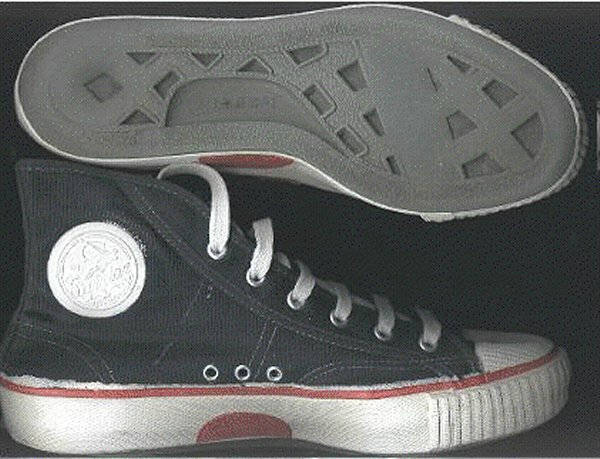 Among their products are low-top sneakers very similar to Chucks. These are the Rainha "MTV" sneakers, which are out of production. 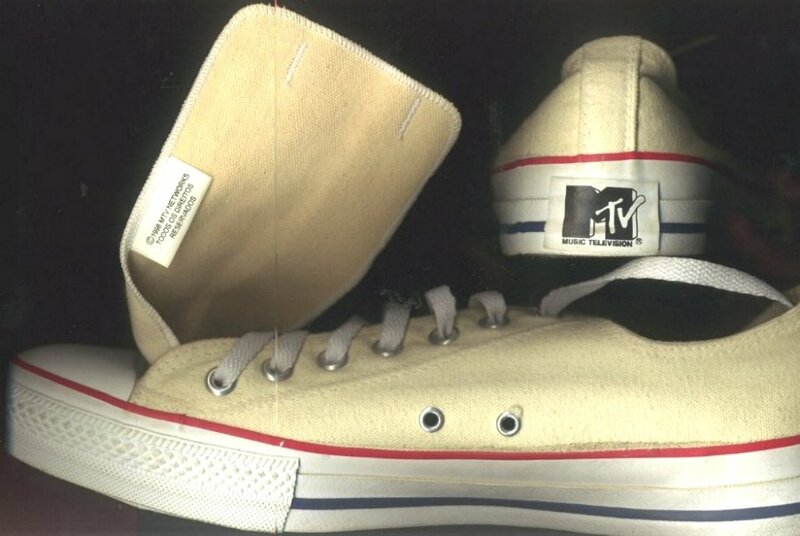 They also have a MTV logo on the insole... I didn't get a picture of the insole, but here's the heel patch. They were also available in black, green, or navy. 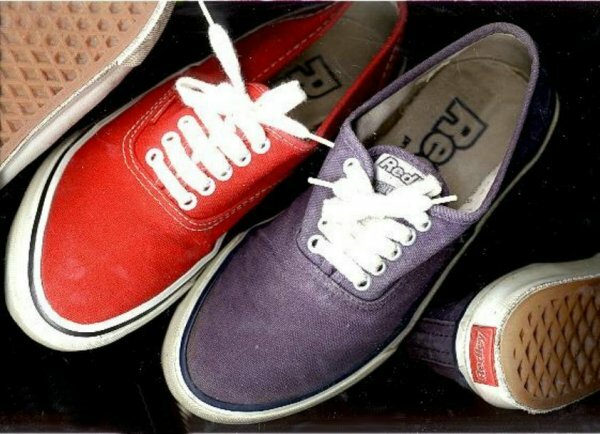 These Brazilian sneakers are from the Redley brand, and look very much like classic VANS sneakers. 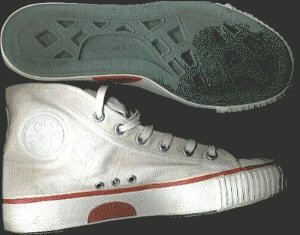 These Warrior brand sneakers are available in Brazil, and were imported from China. Note that they have three Buick Ventiports instead of the usual two.